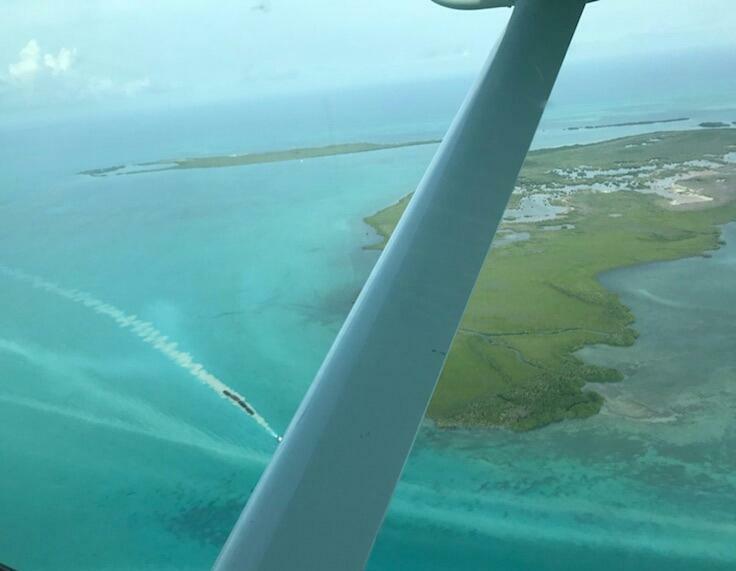 May 13, 2018—–My daughter recently returned from Belize where she snorkeled among the fish of the Belize Barrier Reef, which runs along the coast for 190 miles. It’s part of the Mesoamerican Barrier reef, which is continuous from Cancun to Honduras… 560 miles. 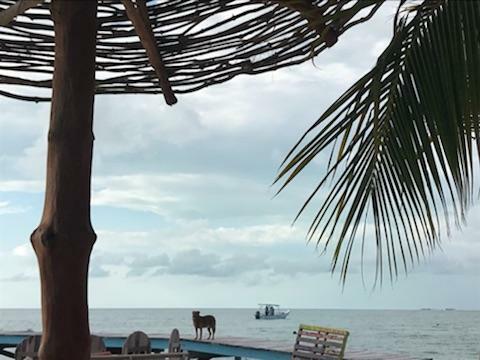 Belize has passed an ordinance prohibiting snorkelers from wearing sunscreen, but this tiny country is doing so much more to ensure the health of their reef and reefs around the world. Coral reefs help protect our shorelines. They also provide food for many species of fish, which, in turn, provides food for the human population. Fishing is a major part of the economy in Belize, providing jobs, recreation and tourism. Coral reefs cover less than 1% of our ocean floor but support more than 25% of marine life. 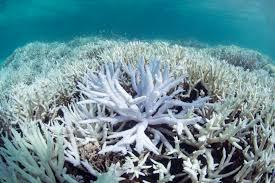 Due to global warming, hurricanes, diseases, overfishing, and the warming and acidification of the seas, coral bleaching is happening 4 times the rate of bleaching 40 years ago. Bleaching of a reef looks just like what the word bleaching implies…the reef turns white! Bleaching occurs when the reef is under stress. Corals get their color from the tiny algae that live on them, providing food for marine life. When it gets too hot or the corals get diseased or stressed, they dispel the algae, which is known as bleaching. Bleached corals are more vulnerable to diseases, which spread to surrounding healthy corals and makes it difficult for the reef to recover. A nonprofit organization, Fragments of Hope, is restoring the Mesoamerican Barrier Reef through transplanting coral from coral nurseries. Lisa Carne, a Marine Biologist, visited Belize after a devastating hurricane in 2001. She noticed fragments of living coral from the reef floating in the sea and asked herself if these could somehow be transplanted back onto the reef. After moving to Belize, Lisa received a research grant to study coral transplanting, thus the creation of Fragments of Hope. Building a healthy coral reef. Fragments of Hope has transplanted almost 100,000, more temperature tolerant, coral fragments along the Mesoamerican Reef. With constant documentation and observation, only 7 of the the original 19 Elkhorn fragments transplanted in 2006 were lost. Not only are 12 of the original still surviving, they have also created satellite colonies! Fragments of Hope has created 28 gene bank nurseries of threatened coral species as of 2018. Restoring our reefs through attaching healthy coral. 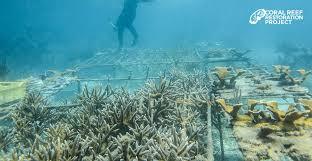 Coral nurseries use several methods of growing and attaching the newly grown coral to the bleached reef. 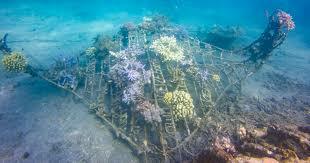 A rope method uses a long strand of rope strung between a steel frame which is buried on the bottom of the sea floor. The rope is twisted slightly apart to insert the corals between the rope strands. When the coral is mature the entire strand of rope is attached to the bleached-out reef. Several other methods use a cement mixture to attach fragments of coral to the reef or transplant coral plugs into the reef. The average growing time to create a healthy transplant is about a year. Fragments of Hope has successfully trained 30 women for the diver roles over the past several years, a role that has previously been dominated by males. Women who successfully train can earn 3 times the minimum wage of Belize. Fragments of Hope has also expanded to other countries, including Jamaica, Colombia and St. Barth. Fragments of Hope offers training for others through manuals, videos and a precise curriculum to guide them towards success in saving the world’s coral reefs. Fragments of Hope is a 2017 winner of the Lighthouse Awards, an award given by the United Nations to people and organizations that, “Shine a light on the activities underway across the globe that are moving the world toward a resilient, innovative and transformative solutions that address climate change, the economy and social and environmental challenges. The winners also address some of the most practical and replicable examples of what people are doing to tackle climate change.” The United Nations has been recognizing winners since 2011. There were 19 winners in 2017. Categories: Climate Change, Coral Reef Bleaching, Renewable Resources | Tags: #climatechange, #renewableenergy, Belize, Climate change, Coral Reefs and Climate Change, Renewable energy | Permalink.